The disruption in the HR landscape has been massive due to the inception of 3 major microtrends: The way we manage an organization, the way we work and the overall reinvention of the technology landscape. The way the HR processes, are being driven by the capabilities of technology nowadays has never been seen before. The next few years will see more companies upgrading their legacy systems to the more advanced and integrated IT platform, thus advancing the facilitation of seamless data flow and ease of communication, across multiple modules. The confidence in change, emitted by organizations is driven by AI and augmented reality, and the way these technologies are making HR technology solutions, smarter and faster. The HR technology disruption has made way for a new way of employee engagement and development and highlighted trends which made the stakeholders sit up and take notice. The following are the few key points and lessons learned from the technology advancements in HR, and the disruptions on the status quo. There is a shift of focus on tools which facilitates team and management productivity rather than focus on talent management. The idea is to design a system which allows the employees to work smarter and not harder, engage on a global level through a team-centric collaboration platform. The propensity of ERP and HCM platform towards cloud is on the rise. Most global software giants like Oracle, SAP, Workday have become the torchbearers for companies, replacing their legacy system with cloud-based platforms. In today’s economic environment, when the companies are dealing across geographical boundaries and having a global workforce, the idea of a cloud-based IT platform is very enticing and relevant. The advent of continuous performance management has arrived giving way to the annual performance reviews. The HR technology disruptions have given rise to the adoption of a multi-directional feedback system which allows pulse surveys, developmental feedback, and constant learning. Although the drivers of engagement are complex, a constant and continuous engagement with employees can form the basis of a positive and fruitful collaboration. The methods of recruiting have changed dramatically on the back of the new technology advancements in HR. Where on one hand, automation tools like chatbots facilitate high volume recruitment, leveraging the capabilities of machine learning, AI, on the other facilitates onboarding and orientation. The intelligent self-service and communication tools are on the rise driving employee experience to another level, resulting in higher productivity and self-governance. 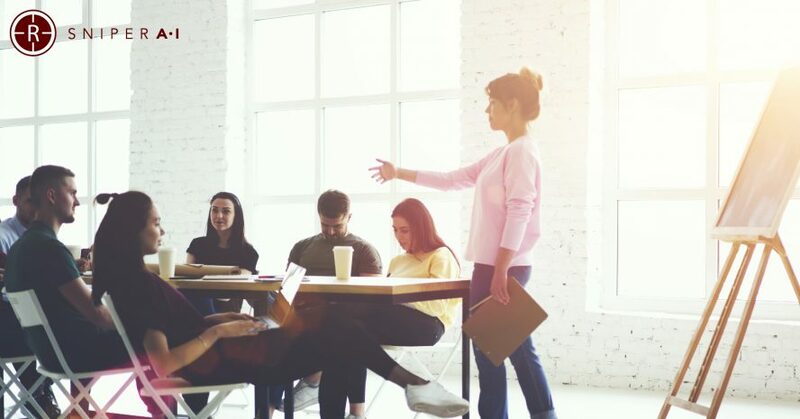 The new HR tools are leveraging the capabilities of AI, smart chatbots and intelligent agents to revolutionize HR functions like training, time tracking and leave management. The HR department per se has become the driver of change as HR professionals learn new strategies, using new model and techniques to engage with prospective vendor and candidates. The “Big Data” revolution has hit HR, thus making people analytics a very important part of their portfolio. There is a wide range of AI-powered tools available for managing employee data. There is a need for technology-driven solutions which can ascertain relationship and sentiments to maximize engagement and performance at work. With large data comes the responsibility of effectively and ethically managing it, for the better understanding of employee wellbeing.